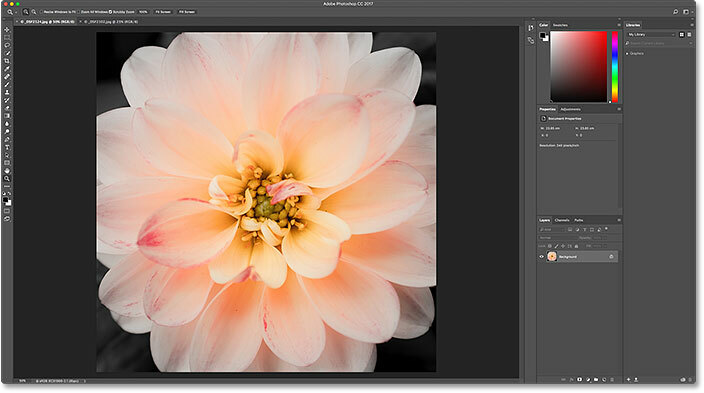 In this tutorial, we'll learn all about the hidden Recent Files panel in Photoshop CC and how it can help us when viewing and selecting our recently-opened files. In a previous tutorial, we learned all about the Start screen in Photoshop. I mention it here because the Start screen and the Recent Files panel are very much related. If you haven't done so already, I highly recommend reading through the Start screen tutorial first before you continue. The Start screen appears when we launch Photoshop CC, and it also appears when we close out of our documents. 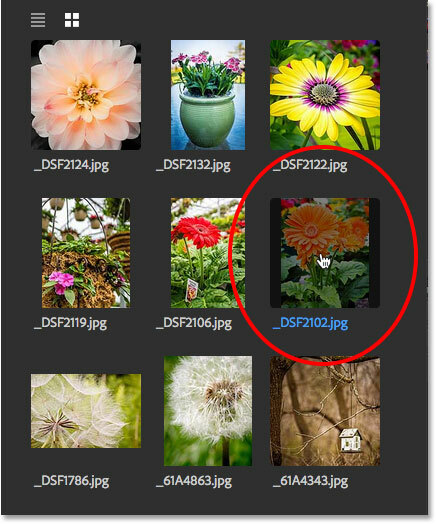 Along with options for creating new documents and opening existing images, one of the best features of the Start screen is that it conveniently displays our recent files as thumbnail images, making it easy to select and re-open the one we need. Selecting an image from the Recent Files list. The first image opens. © Steve Patterson. So far, so good. I've opened my first image. Now, what if I want to keep this first image open while I open a second image, one that's also from my Recent Files list? How do I get back to the Start screen so I can view my Recent Files thumbnails and choose a different image? The simple answer is, I can't. At least, not without closing the image I've already opened. The reason is that the Start screen only appears when no other documents are open. To get back to the Start screen, and back to my Recent Files thumbnails, I have no choice but to close my current image. The Open Recent command displays our recent files by name only. Wouldn't it be great if there was some way to view our recent files as thumbnails without needing to get back to the Start screen? 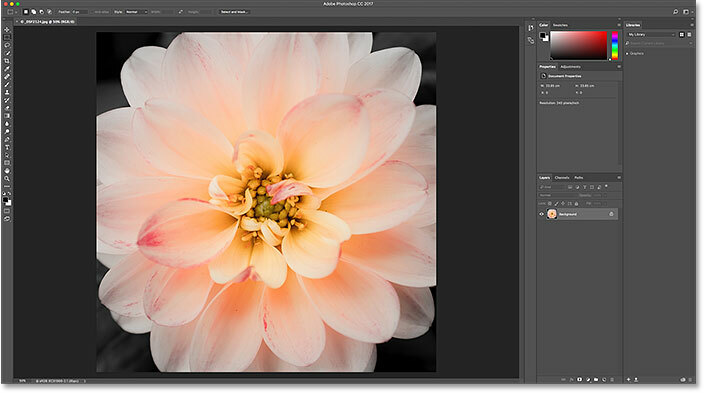 Luckily, there is a way thanks to Photoshop's Recent Files workspace! Go to Edit (Win) / Preferences (Mac) > Preferences > General. Selecting 'Show "Recent Files" Workspace When Opening A File'. Selecting the same image as last time. Now that I've enabled the Recent Files workspace, how can I view my recent files not as a name-only list but as thumbnails? Watch the panels along the right. 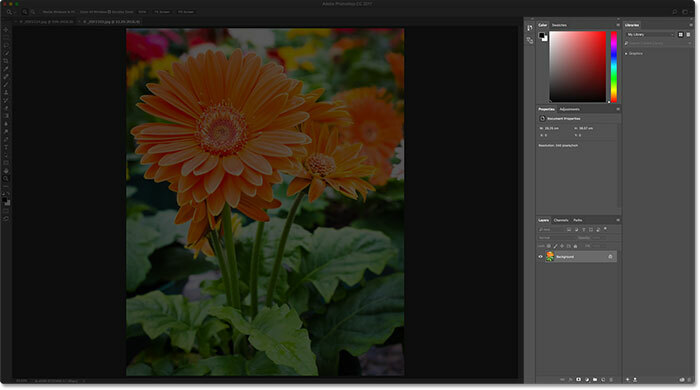 The Recent Files panel appears in place of Photoshop's other panels. The Recent Files panel includes the same New... and Open... buttons from the Start screen. 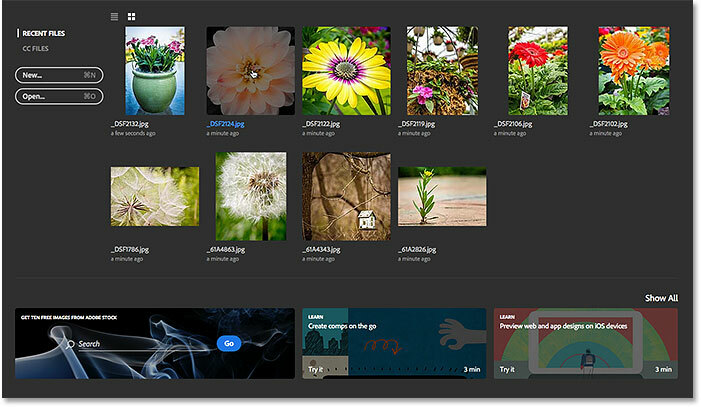 Both the Start screen and the Recent Files panel include tiles with dynamically-changing content. 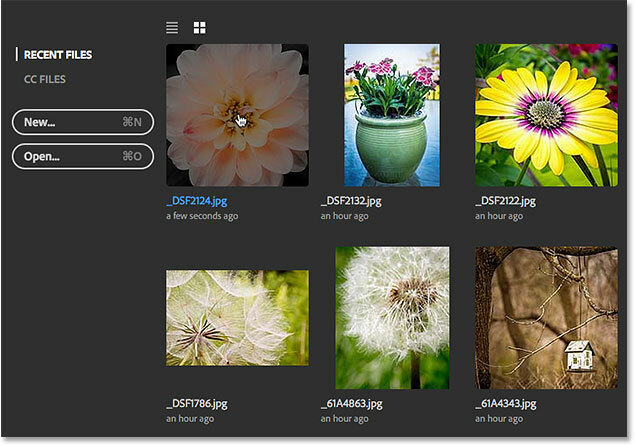 Selecting an image to re-open in the Recent Files panel. 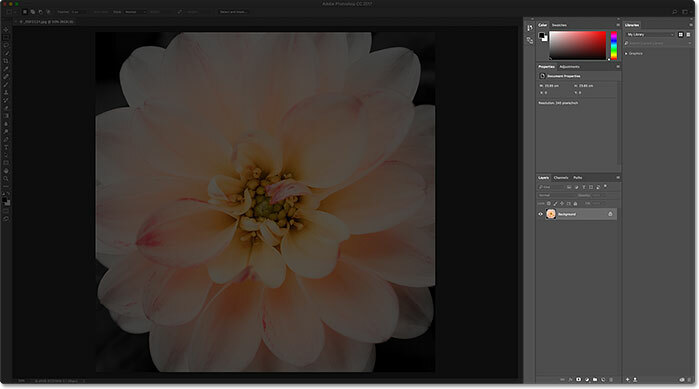 The Recent Files panel closes when the selected image opens. 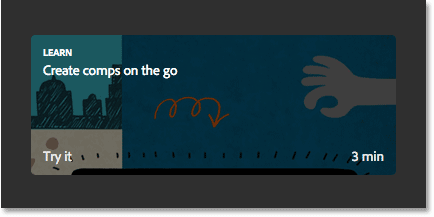 Switch between open documents by clicking the tabs. Back to viewing the original image. 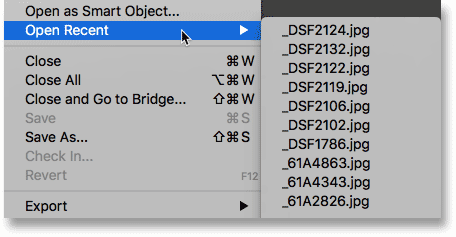 Even though the Recent Files workspace in Photoshop CC is disabled by default, it can actually be very useful, especially if you need to re-open recent files on a regular basis. But if you want to turn it off, just press Ctrl+K (Win) / Command+K (Mac) on your keyboard to quickly return to Photoshop's General Preferences. Uncheck the 'Show "Recent Files" Workspace When Opening A File' option to turn it off. And there we have it! 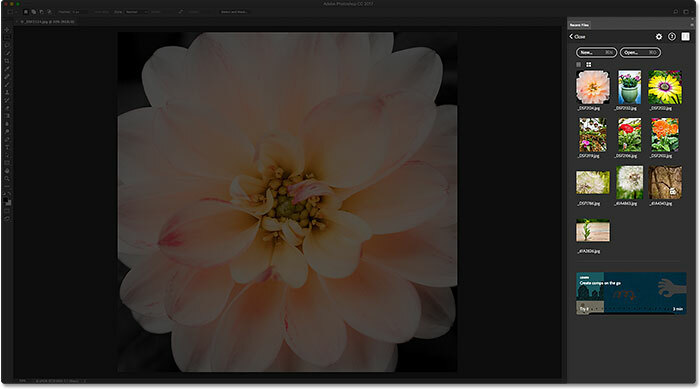 That's how to enable the Recent Files workspace and use the Recent Files panel to more easily view and select our recently-opened files in Photoshop CC! 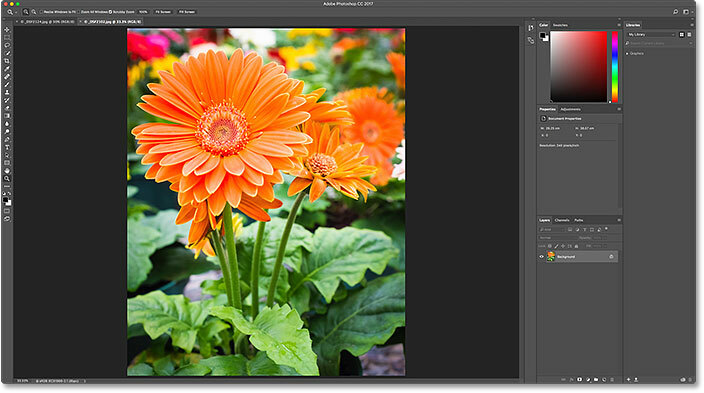 In the next tutorial, we'll learn how to create new Photoshop documents using the New Document dialog box that's been completely redesigned in Photoshop CC 2017!